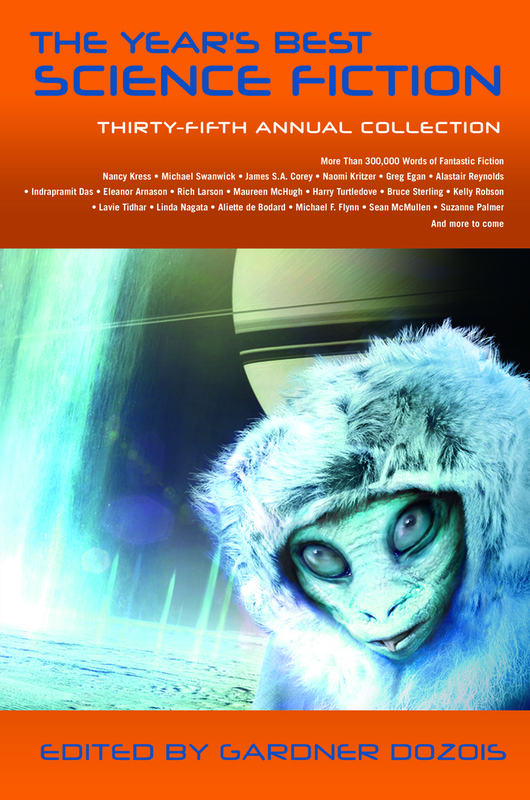 The multiple Locus Award-winning annual collection of the year's best science fiction stories. In the new millennium, what secrets lay beyond the far reaches of the universe? What mysteries belie the truths we once held to be self-evident? The world of science fiction has long been a porthole into the realities of tomorrow, blurring the line between life and art. Now, in The Year’s Best Science Fiction: Thirty-Fifth Annual Collection, the very best SF authors explore ideas of a new world. This venerable collection brings together award-winning authors and masters of the field. Featuring short stories from acclaimed authors such as Indrapramit Das, Nancy Kress, Alastair Reynolds, Eleanor Arnason, James S.A. Corey & Lavie Tidhar, an extensive recommended reading guide and a summation of the year in science fiction, this annual compilation has become the definitive must-read anthology for all science fiction fans and readers interested in breaking into the genre. Gardner Dozois (1947-2018), one of the most acclaimed editors in science-fiction, won the Hugo Award for Best Editor 15 times. He was the editor of Asimov’s Science Fiction Magazine for 20 years. He also served as the editor of The Year’s Best Science Fiction anthologies and co-editor of the Warrior anthologies, Songs of the Dying Earth, and many others. As a writer, Dozois twice won the Nebula Award for best short story. He was inducted into the Science Fiction Hall of Fame in 2011 and received the Skylark Award for Lifetime Achievement. He lived in Philadelphia, Pennsylvania.